With sugar invading every meal and fast food becoming the only option for adults on the go, it is no wonder that obesity is a pervasive problem in modern American culture. More than 1/3 of adults are classified as obese and this appears to be a growing trend. The Courts have recognized this ever growing development and often include severe and morbid obesity as a qualified disabilities. As society learns more about obesity, and the medical issues associated with obesity, the Courts have employed a broader interpretation of the Americans with Disabilities Act Amendments of 2008 (ADAA), using the underlying physiological cause of obesity to qualify any obesity related illnesses as a disability, eliminating the use of mitigating factors when evaluating disabilities and lifting strict limits on what constitutes a “substantial impairment of a life activity.” This change provides protections for the severe and morbidly obesity when deciding weight discrimination or disability discrimination claims. Our skilled weight discrimination attorneys at the Derek Smith Law Group, PLLC, are on the front lines of this growing area of disability discrimination and are willing to put our years of employment discrimination experience behind you when fighting for you employment rights. Weight discrimination, often referred to as size discrimination, occurs when an individual is treated differently because of their weight. Title VII of the Civil Right Act of 1964 has failed to include obesity as a protected class. However, States, the EEOC and the Courts have picked up the slack and have used “a broad scope of protection” in deciding disability discrimination claims. Often, the Court has taken how an employer perceived an employee’s disability into consideration in deciding whether the employer treated an individual unfairly based on their obesity. For instance, in EEOC v. Resources for Human Development Inc. the court recognized severe and morbid obesity as a disability. Harrison was hired as a specialists at a residential treatment facility for drug-dependent women in 1999 and was subsequently terminated by 2007. Harrison was severely obese, from the time she was hired until the day she was terminated. As a result of her disability, she suffered multiple conditions, to include diabetes, congestive heart failure and hypertension. Her employer fired the employee because it perceived her as being substantially limited in a number of major life activities, to include walking. The EEOC argued, and the Court acknowledged, that no other court has ever required a disabled party to prove the underlying basis of their impairment and that the cause of the condition has no effect on whether the condition is an impairment. The Eastern District Court of Louisiana denied the employers motion for summary judgment, holding that summary judgment for the employer was inappropriate because there is an genuine issue of material fact as to how the employer perceived the plaintiff and her ability to perform her essential job function. It was clear through her years of effective service, Harrison was able to perform her job, the EEOC stated that this was a clear instance of discrimination based on stereotypes and prejudices. As a result, the EEOC won the case and established a basis for bringing claims of disability discrimination based on obesity. Our weight discrimination attorneys at the Derek Smith Law Group, PLLC, have years of experience dealing with the EEOC and bringing claims based on various types of employment discrimination. While still a budding area of litigation, our experienced weight discrimination attorneys at the Derek Smith Law Group, PLLC, are willing to put our talents behind your employment discrimination claim and will work to protect your right to fair and equal employment. Yes and no. While Title VII of the Civil Rights Act of 1964 does not include obesity as a disability. Courts have routinely held that discriminating against a morbidly obese employee may be a violation of the American with Disabilities Act (“ADA”). This was turn in legislation was designed to protect people like Peggy Howell, who was subjected to various forms of discrimination based on her weight. Howell, the former church school administrator and counselor, recounts a meeting she had with her boss in the early 90’s when, out of the blue, he accuses her weight of being an indication that her life is out of control. Howell weighed around 300 pounds at the time and her employer told her that she shouldn’t counsel other people if she didn’t have her life under control, informing her that she would be fire if she did not lose weight. For fear of losing her job, she loss more than one hundred pounds within the next six months. Her bosses behavior worsened over the next few months and she was forced to quit. Over two decades after Howell’s situation, Courts have effectively amended the Americans with Disabilities Act, extending protections to morbidly obese individuals. This is drastic change in the Courts direction, as courts have been reluctant to hear cases based on obesity discrimination but the EEOC have crafted clever arguments relating to the perception that obese people cannot perform their essential job functions, which Courts have been more willing to hear. Weight bias occurs when a person is discriminated against based on their weight. Employers often use an individual’s weight to determine whether an employee is capable of performing the essential functions of their job, which is an exception to the general rule against disability discrimination. This type of discrimination is not often obvious. Texas based tech executive Blair Franklin who weighed over 400 pounds, noted that there was a glass ceiling placed on him because of his weight. He took notice of the people in upper management and found there wasn’t a single “heavy” person in a higher management position. The career conscious Franklin took matters in his own hands, getting a gastric bypass surgery and losing over 225 pounds. Soon after, he found himself on a management fast track. Though his actual work performance didn’t show any noticeable improvement, his weight and image had changed, and he was subsequently rewarded for his weight loss. This gives rise to idea that his previous weight was preventing him from moving up the corporate later and not his ability to perform the essential functions of his job. Our experienced employment discrimination attorneys at the Derek Smith Law Group, PLLC, are working tirelessly on the forefronts of this budding area of weight discrimination law in New York City, New Jersey and Philadelphia. New York is not exempt from the rising obesity epidemic. While the State has yet to apply current discrimination laws to obesity, the Courts are not deaf to the troubles of obesity discrimination in employment. The Commission on Human Rights has recently decided that obesity discrimination was indeed unlawful, but the Court of Appeals of the State of New York has been hesitant to do the same, overturning the Commission’s decision, but stating that there is merit to claims of obesity discrimination. In Div. of Human rights v. Xerox, Catherine McDermott claimed that Xerox refused to hire her because she was obese. McDermott applied for a job as a computer programmer in 1974, after determining she was fit for the position, Xerox offered her a position as a systems consultant, provided she passed a pre- employment screening. On August 26 1974, McDermott, standing five feet six inches, weighing 249 pounds, was examined by a doctor for Xerox. The examination was very thorough, describing every abnormality in detail. After the examination, the doctor stated McDermott was obese, but did not note any other remarkable or laboratory findings. However, based on her weight the physician concluded that McDermott was “not acceptable” for the position. After the initial review, the report went up to Dr. Wright, the company’s director of Health Services. Dr. Wright agreed with examining physician, determining McDermott was not acceptable for the position. In a subsequent letter, Xerox notified her she would not be hired. It was only later that McDermott found out she was not hired because of her obesity. As a result, McDermott filed a complaint based on an amendment to the Human Rights Law which prohibited employers from refusing to employ persons with disabilities. At the time, obesity was not covered under the law. At a hearing, McDermott testified that Dr. Wright told her that her job offer had been withdrawn because she suffered for the disease of “active gross obesity.” McDermott asserted that she had been overweight for most of her life and none of that had stopped her from raising five kids on her own, working or in any other way, and regularly performing tasks normally performed by computer analysts. The Commissioner found that during the course of her pre-employment screening her obesity constituted a physical impairment demonstrable by medically accepted clinical diagnostic techniques. The commissioner also found that she held a comparable position before she applied to Xerox and was able to find similar work afterward and despite her weight remaining essentially constant, she had performed those jobs in a satisfactorily manner. The appellate court agreed with McDermott that her obesity had nothing to do with her ability to perform her job, so the Court decided the case on the definition of disability under state law. The appellate court took a broad meaning of the term disability, holding a disability can manifest itself of two ways 1) by preventing the exercise of a normal bodily function or 2) by being demonstrable by medically accepted clinical or laboratory diagnostic techniques. The court ultimately decided that, although she was obese, she did not suffer any other disability associated with it. While obesity discrimination has not yet been upheld after by the Court, the Court does agree that being obese can be a disability. If you feel you have been discriminated against because of your weight, please give our top weight discrimination attorneys at Derek Smith Law Group, PLLC, a call toll –free at 877-469-5297, we will work tirelessly to ensure your claim of obesity discrimination is properly litigated. Obesity discrimination comes in many forms. Most assume only the morbidly obese feel this type of discrimination, but many young men and women in the entertainment profession face similar discrimination where their looks matter. Unfortunately, New Jersey Law Against Discrimination (“LAD”) stops just short of weight. In a most recent case, the New Jersey court refused to grant employees claims of discrimination based on their weight. In Borgata Babes, the New Jersey’s Appellate Division granted the Borgata Casino Hotel & Spa’s motion for summary judgement, which challanged the claims of twenty-one current and former female employees who claimed the Borgata’s personal appearance standards (“PAS”) was unlawful. The PAS restricted employees from gaining more than 7% of weight above their initial weigh in, it also provided reimbursement for any outside gym memberships, nutritionist and personal trainers used to maintain their weight. The court ruled that the PAS did not violate the LAD because it applied to each employee equally, both male and female, and it further held that reasonable dress and grooming standards are a proper management prerogative. Although not currently protected under the LAD, weight discrimination is a growing area of litigation. 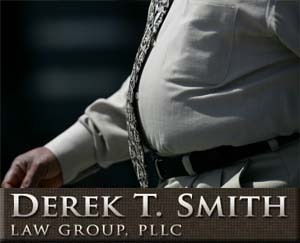 Our experienced obesity discrimination attorneys at the Derek Smith Law Group, PLLC, have years of employment discrimination experience bringing claims that are on the cutting edge of the discrimination law in New Jersey. Weight discrimination is a developing area of law. Without adequate protections under the ADA or Title VII of the Civil Rights Act of 1964, it can be difficult bring a claim against an employer if you have been discriminated against because of your weight. Our experienced weight discrimination attorneys at the Derek Smith Law Group, PLLC, have years of experience bringing claims based on disability discrimination. Our skilled employment discrimination attorneys routinely work with the EEOC and other employment discrimination organizations, fighting to get our clients the relief they deserve and protect their rights under the Constitution. If you have been harassed at work because of your weight, please contact our experienced weight discrimination attorneys toll free at toll-free number 877-469-5297 for a free consultation about your case. Also we charge no fee unless we recover in your weight discrimination case.